Raised in the Silicon Valley of India, Diana is a true blue Bangalorean. Not surprisingly she believes technology in the hands of the right people, combined with a desire for effective change holds the key to solving many of the monumental challenges facing us today. With an MBA in Business Consulting from Central Michigan University, she worked with an audit firm in New York before realizing her interests and skills lay in the Learning & Development field. 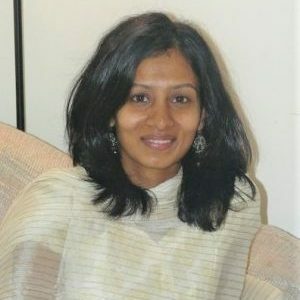 Subsequently, she moved back to India in 2011, and started her career in corporate L&D. There has been no looking back since, having trained hundreds of people on topics ranging from Effective Communication, Women Empowerment, Leadership Development, Social Etiquette to Diversity & Inclusion. Diana loves conducting interactive & functional learning sessions, that enable people to acquire skills to be better versions of themselves both personally & professionally – values & methods that resonate well with Amani, where she has taken on the role of Leadership & Innovation Training Programs Manager. She has a deep love for all animals and nature. So when she’s not at work you can find her playing with her pet cats, tending to community strays & her terrace garden. She also thoroughly enjoys comedy in reel and real life, deep conversations with friends, family and like-minded people, working out, reading on a wide range of topics, and music & movies from various genres and languages.